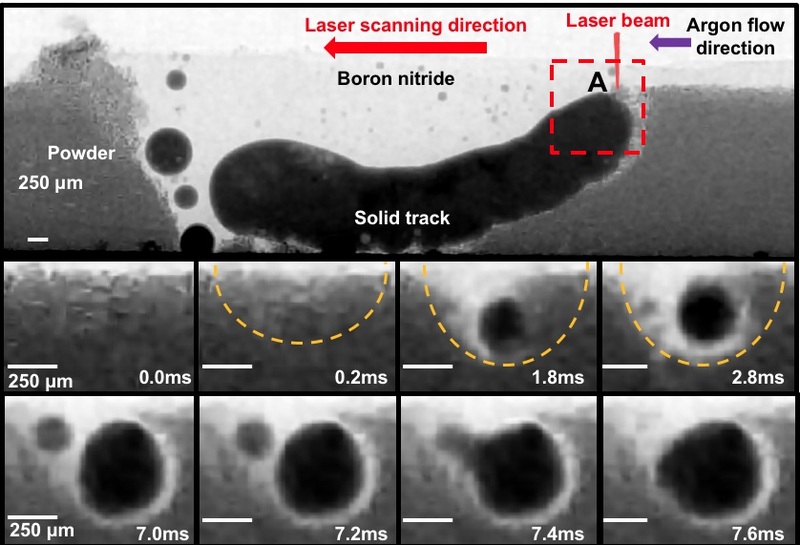 In situ X-ray imaging of defect and molten pool dynamics in laser additive manufacturing. Paper: In situ X-ray imaging of defect and molten pool dynamics in laser additive manufacturing. Authors: Chu Lun Alex Leung, Sebastian Marussi, Robert C. Atwood, Michael Towrie, Philip J. Withers, Peter D. Lee. Laser additive manufacturing (LAM) uses a laser to fuse together metallic, ceramic or other powders into complex 3D shapes, layer by layer. 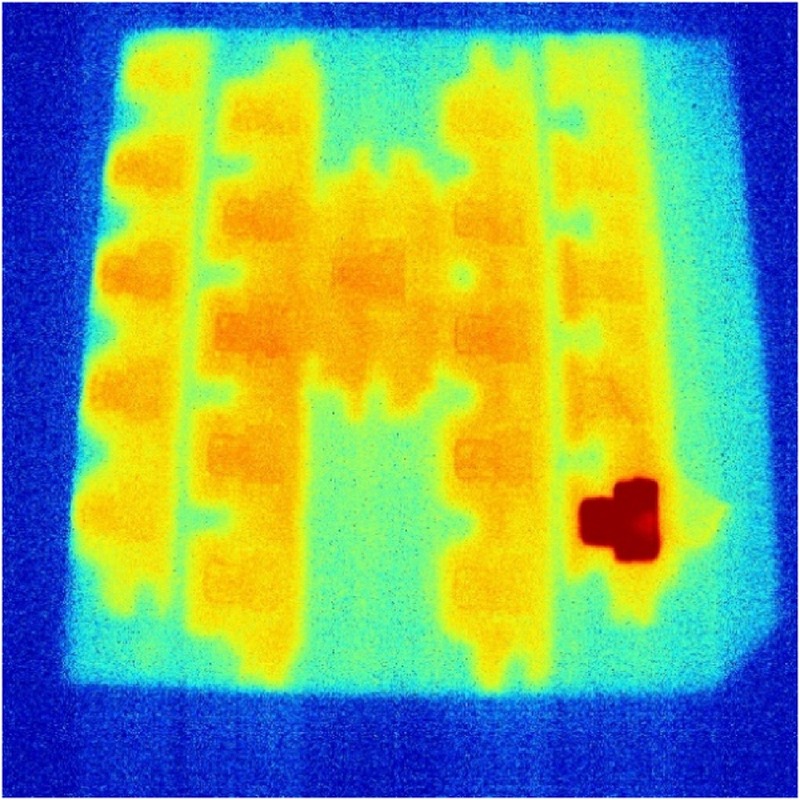 The cooling rates are extremely rapid, and since they are unlike conventional processes we don’t know the optimal conditions to obtain the best properties, delaying the uptake of LAM in the production of safety-critical engineering structures, such as turbine blades, energy storage and biomedical devices. We need a method to see inside the process of LAM to better understand and optimise the laser-matter interaction and powder consolidation mechanisms. The LAMPR was designed to fit on the beamline, at Diamond Light Source, the UK’s national synchrotron, and mimics a commercial LAM system, with windows that are transparent to X-rays, allowing scientists to see right into the heart of the LAM process as it takes place. They used X-ray radiography with high temporal and spatial resolution to uncover key mechanisms of laser-matter interaction and powder consolidation during LAM, including the formation and evolution of melt tracks, spatter patterns, the denuded zone (a powder-free zone) and porosity in the deposited layers. The time-resolved quantification of the pore and spatter movements gave crucial information of their flow velocities and direction, which are not possible to acquire using other techniques.